Owned by Preferred Memberships, IdentitySweep offers identity protection services to consumers. IdentitySweep offers a number of comprehensive identity protection services, including credit monitoring from all three major bureaus (Experian, Equifax, and TransUnion), internet scanning, bank account monitoring, and social security number monitoring. 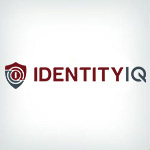 IdentitySweep offers up to $1 million in identity theft insurance. In the event of identity theft, this policy covers and reimburses expenses related to the theft. For example, IdentitySweep will reimburse identity theft victims up to $4,000 for lost wages. IdentitySweep does not offer family plans, making it difficult and expensive for consumers to protect their entire household from identity theft. IdentitySweep does not provide a number of important identity recovery services. For example, the company does not assist with pre-existing conditions; does not offer limited power of attorney; and does not help with financial, medical, criminal, or tax identity restoration. The company's website does not provide much information regarding prices, plans, or services. Many other identity theft protection companies offer significantly more upfront information on their websites. IdentitySweep offers comprehensive identity theft prevention services and up to $1 million in insurance coverage. However, the company's recovery services are lacking, there aren't any family plans available, and the company's website is lacking important service details and information.